The Iceland Workshop is FULL. I am taking names on a waiting list. Just email me if you are interested. 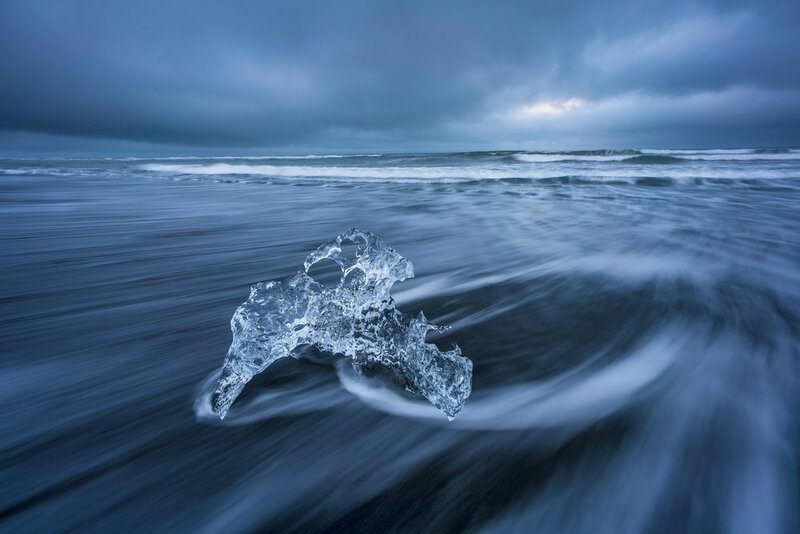 Please join me in September for my 2019 Fall in Iceland Photography Workshop and Tour - The land of fire and ice. This 8 day tour will have our group traversing up into the central highlands and then east towards the eastern fjords. Along the way I have two special events for you including photographing one of the annual sheep round ups, known as the réttir, and an amazing day of hiking and photography out on the Breidamerkurjökull Glacier. Along the route of our journey we will also stop to capture waterfalls, highland landscapes, mountains, churches, the famous Icelandic horses, and given the time of year and seasonal night sky, we will have an opportunity to capture the amazing aurora borealis. Our goal is to always put you on the best locations, with the right light to capture the wonder and beauty of this special place. This workshop is limited to only 6 participants to maximize my time with each member of the group. Joining with me to help out in instruction and logistics will be Adam Holston. Our goal is to help you focus on your image making during our time together. 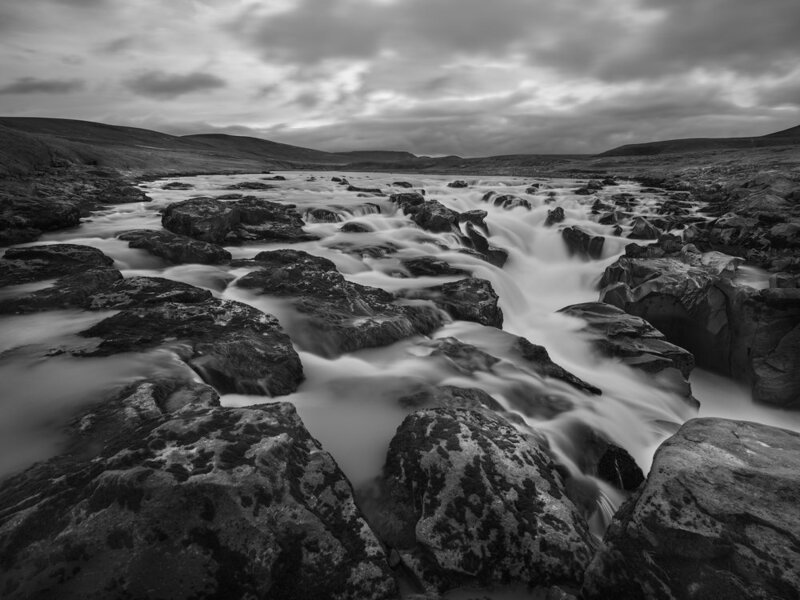 Adam and I have multiple years of experience traveling in Iceland with location knowledge on shooting conditions and look forward to helping you craft images from this beautiful country. This workshop will follow a basic itinerary but is adaptable based on weather and the potential for beautiful sunrises/sunsets, or of course the chance for aurora photography. 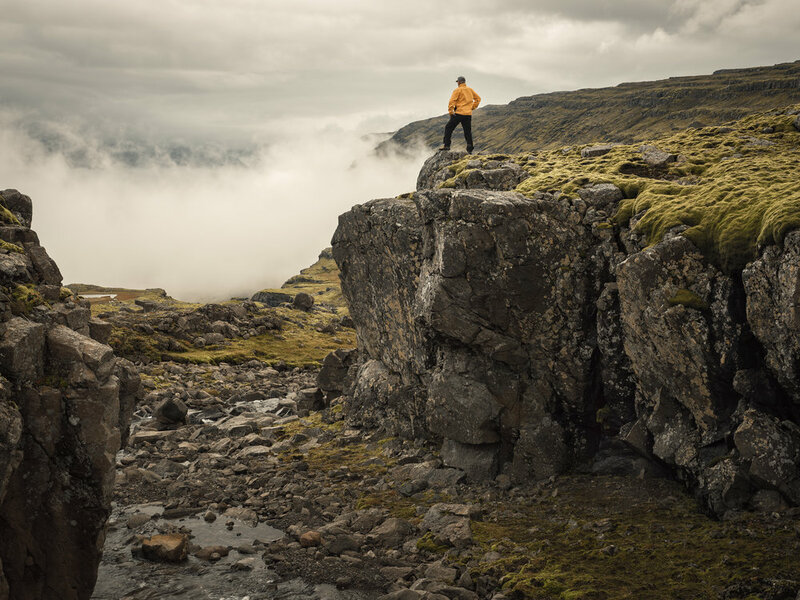 Weather in Iceland can change hourly and we will be monitoring those conditions to try to put us in the best locations. As we move about the country we will attempt to limit our between location travel to just a few hours so we can have amble opportunity to explore, and stop, if the light is right. In some instances we might visit a location twice to view it in different light or conditions. With those basic thoughts in mind our trip will begin on September the 11th. 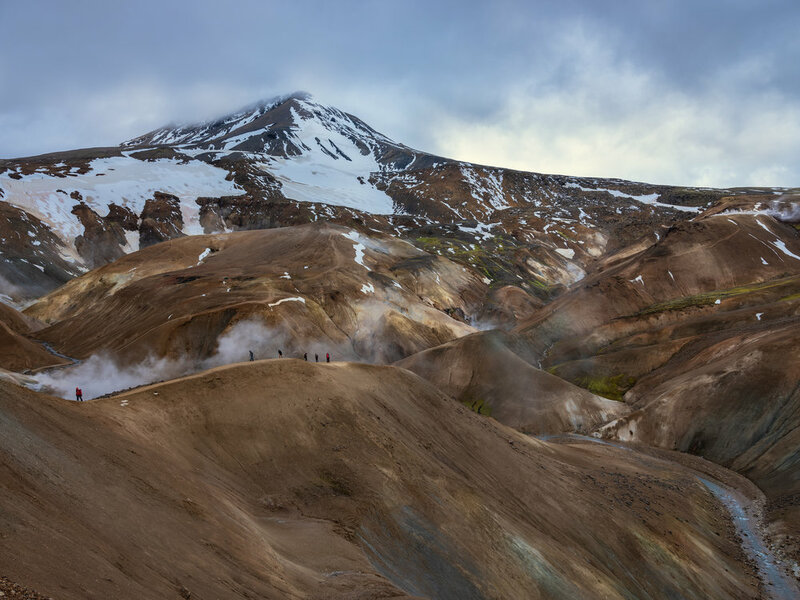 We will meet at 8:00 am at Keflavik Airport for group introductions and an overall orientation before we load up the vehicles and head north to explore the central highlands of Kerlingarfjöll. We will be traveling in two Ford Expeditions equipped with onboard wifi. We will stay the evening at Kerlingarfjöll. Note: You will need to time your arrival to Keflavik to align with our 8:00 am meeting time on the 11th. 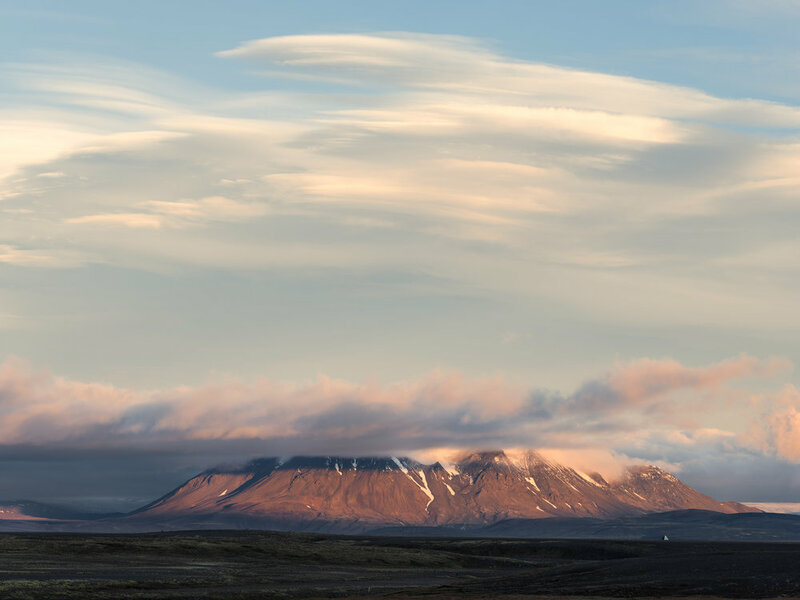 Many of the flights arrive by 6:00 am and in some cases you may need to arrive the day before which will give you an opportunity to explore Reykjavik. 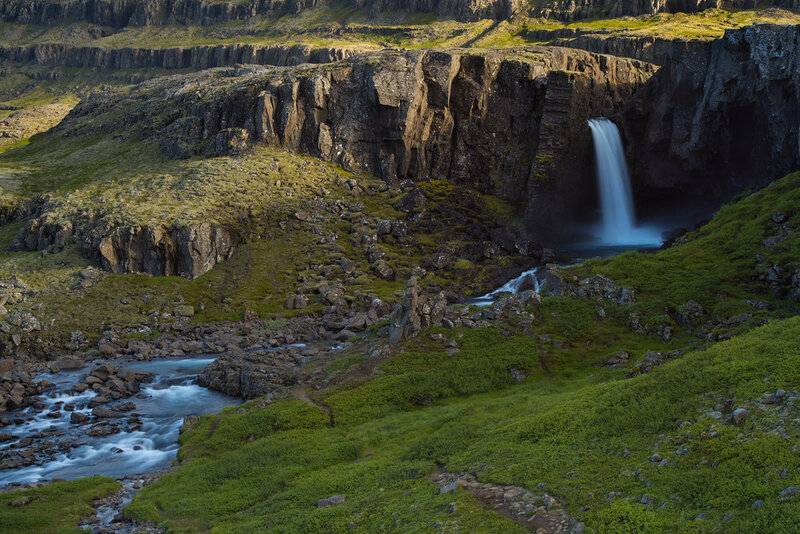 After Kerlingarfjöll we will move southeast with opportunities to explore and photograph some beautiful highland waterfalls before experiencing the réttir. The réttir - sheep round up - will be a special treat for our group and will allow you to see one of the great cultural events in Iceland, as the local farmers bring in their sheep from highland grazing areas, and sort them into individual paddocks. This is done every year around Iceland to bring in the sheep before the arrival of winter. Their will be ample opportunity to photograph the event as well as the amazing Icelandic horses that are part of the round up. 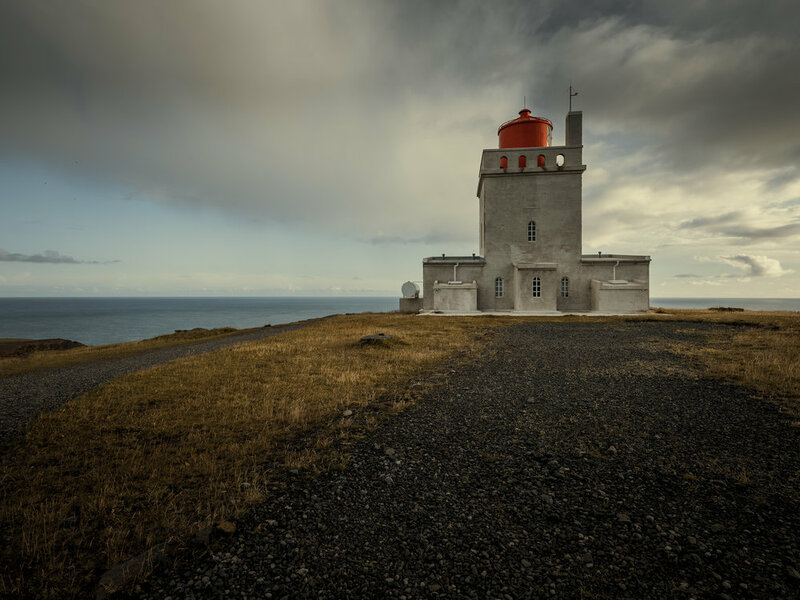 From the sheep round up we will head south, and east along the coast to the seascape area around Vik, with ample time to explore this area and have one of the best pizzas in Iceland at Sudur Vik. We will stay overnight in Vik, and as the coast is often clear, we will be monitoring the KP Index for aurora activity. From Vik we will travel further east to Hali which will be our jumping off point for a special guided trip out onto the Breidarmerkurjökull Glacier. While in the vicinity of Hali we will be out shooting the Jolkusarlön Glacial Lagoon and the Black Sand Beach. 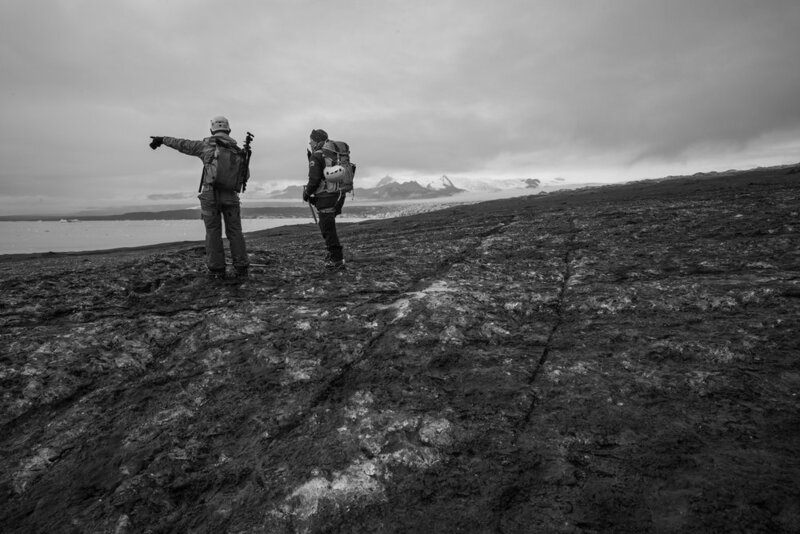 The trip out to Breidarmerkurjökull will be guided by my friend, and local guide, Haukur Ingi Einarsson, and will give you the opportunity to see and walk on the exit glacier that feeds ice into the Jolkusarlön Lagoon. This will be an amazing day to see, and photograph the incredible geology of the glaciers. And if the ice is stable we may have the opportunity to photograph inside one of the ice caves. Note: I will stop here and talk about the physical requirements for this trip. Most of the shooting locations require some moderate hiking and some down climbing to waterfall locations. Many locations are accessible within an easy walk from our vehicles. The glacier hike however is different and you must be able to navigate the hike wearing crampons and ice gear. (All gear provided by our guide). If you have knee or back issues, or are unsure about your balance, then this may not be for you. 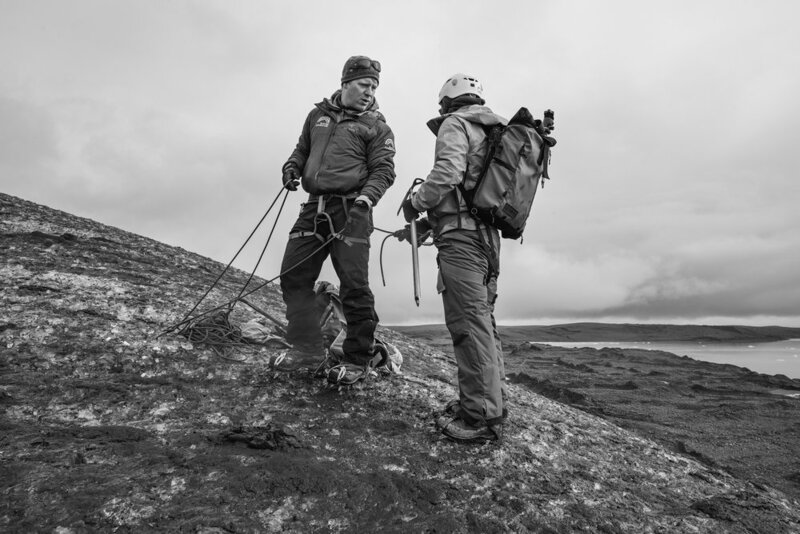 Haukur will walk everyone through glacier safety and the techniques of walking in crampons, and there may be a simple rappel to move us into different locations while out on the ice. This is a singular adventure designed just for us but you must be able to handle the physical requirements for 5 to 6 hours out on the ice and photographing the landscape. If you are in reasonable condition and comfortable hiking on generally flat, or gently sloped, conditions, then you will be just fine. 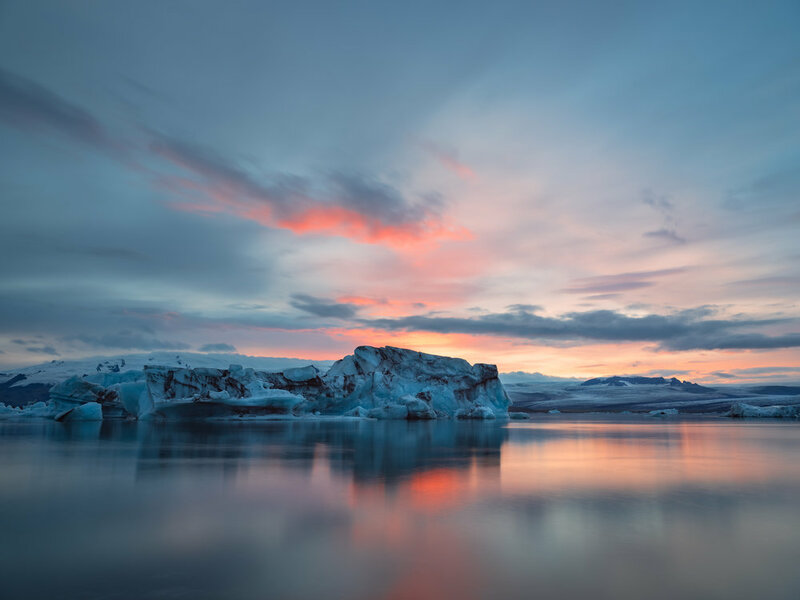 Though moderately strenuous, the glacier hike will provide you with a once in a lifetime opportunity to see and a photograph the other-worldly glacial landscape. ﻿From our glacier adventure we will continue our journey to the east side of Iceland with stops to photograph the stunning landscapes around Vestrahorn and Eystrahorn. From there we head up to the quaint town of Seydisfjordur, our easternmost destination for the trip, before heading back towards Reykjavik. Along our journey back we will have the opportunity to revisit some locations and shoot others that we passed on our journey out. We will deliver our group back to Keflavik/Reykjavik on September the 19th, the end of our journey together. We would recommend that you book a hotel in Reykjavik for the night of the 19th and plan your return flight home for the 20th. Participants must be in good physical condition (see glacier hike info above), and must have control over the operation of their camera systems. This workshop is not geared for beginning photographers. We will discuss opportunities for composition, reading the light, filter use, long-exposure techniques, aurora photography, and conceptual execution of the shot while out in the field. This trip includes all guiding and instruction, vehicles and fuel, hotel/rooms for eight nights, and the special guided glacier trip. The trip does NOT include airfare to Iceland, food, snacks, travel insurance, or other incidentals. We will attempt to have one great dinner or lunch together during each day. The rest of the time we will be on the go, and will stop as necessary for our group to pick up snacks and drinks at some of the local grocery stores. Our rooms will be a combination of hotels, to mountain huts, to guest houses, and all will be centrally located to areas we will be photographing. Rooms are based on double occupancy and usually feature two twin beds and shared bathroom facilities. In some instances breakfast is included in the room rates. About 3 months prior to the start of the workshop I will distribute a welcome kit, via email, with a list of recommended camera gear and clothes. 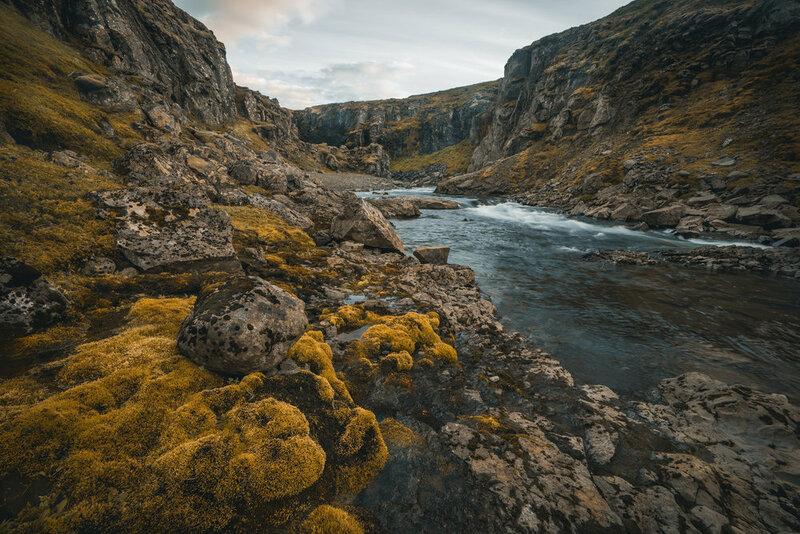 The average temperature during the Fall does not get much higher than about 45 degrees, and it is Iceland, so you can expect, and should expect anything from sunshine to rain, to moody and foggy, and wind. Being dressed and prepared for the variety of conditions is important for your comfort while shooting in the field. Safety is of paramount importance for us and we will not put you in risky or perilous conditions. With two instructors we will have ample one-on-one time with each of you and work to keep you safe while shooting. Total cost for this workshop is $4,650.00. We require an initial deposit of $1,200.00 to hold your slot. Full payment is required 90 days before the start of the workshop. We will send out an invoice prior to this date. We Highly recommend that you take out Travel Insurance. Travel Insurance.com offers several options and plans that you can compare. If you cancel within 30 days of making your initial deposit, you will receive 100% of your money back (including transaction charges). If you cancel beyond 120 days of the workshop beginning then you will be refunded all of your tuition fees (minus transaction charges). If you cancel within 120 days of the start of the workshop, you will only be refunded your workshop tuition (minus transaction fees), if your spot can be filled by another individual. If you cancel within 90 days of the start of the workshop, you will be given the option to roll your tuition fees into another workshop ONLY if your spot can be filled.